In a world where lust has become its god, it is no wonder why thousands of babies and children are being brought before the altar and sacrificed (in modern day terms, abortion and fathers/mothers leaving children behind). Satan, demons, the darkness, wants you to believe babies/children are a hindrance to your life. When in actuality, they enhance it! Whether or not they are born in the “ideal” situation, doesn’t change the fact that they are sent from God. 1) Gift– “Every good gift and every perfect gift is from above, coming down from the Father of lights with whom there is no variation or shadow due to change” (James 1:17). 2) Joy– “When a woman is giving birth, she has sorrow because her hour has come, but when she has delivered the baby, she no longer remembers the anguish, for joy that a human being has been born into the world” (John 16:21). 4) Inheritance– “Behold, children are a heritage from the Lord, the fruit of the womb a reward” (Psalm 127:3). 5) Precious– “For you formed my inward parts; you knitted me together in my mother’s womb. I praise you, for I am fearfully and wonderfully made. Wonderful are your works; my soul knows it very well. My frame was not hidden from you, when I was being made in secret, intricately woven in the depths of the earth. 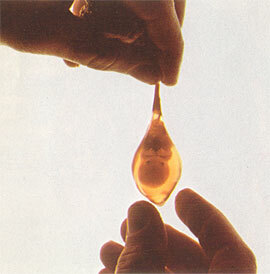 Your eyes saw my unformed substance…” (Psalm 139: 13-16). 6) Example– “At that time the disciples came to Jesus, saying, “Who is the greatest in the kingdom of heaven?” And calling to him a child, he put him in the midst of them and said, “Truly, I say to you, unless you turn and become like children, you will never enter the kingdom of heaven” (Matt. 18: 1-3). 7) Strength- “Out of the mouth of babies and infants, you have established strength because of your foes, to still the enemy and the avenger” (Psalm 8:2). How different from what the world is telling you! Remember, you were once a baby too. Would you have wanted someone to stand up for you? Mighty men of God, if you or someone you know is ever in a place of a crisis pregnancy, fight the crisis, NOT the child. One day, you will stand before God for all that you’ve done or didn’t do. “For we must all appear before the judgment seat of Christ, so that each of us may receive what is due us for the things done while in the body, whether good or bad” (2 Cor. 5:10). You have the power to take back our babies/children and throw this generation back into the hands of God. Are you ready to fight? Be blessed soldiers of God. Jesus, family, ministry, and lots of coffee! My heart comes from being a young teen girl who didn’t know much and found Jesus in a dark time. My ministry focuses on the heart of God for this generation to make Godly decisions especially in the area of purity. A blog for all ages because God’s Word is eternal and has no age limit!